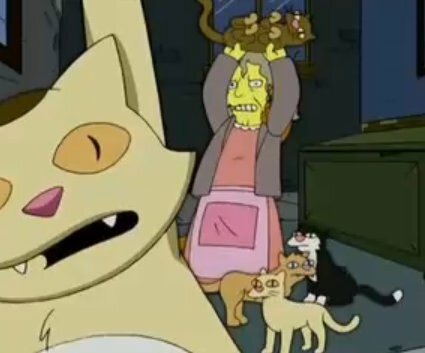 Those of you who regularly watch the popular American sitcom 'The Simpsons' will be well acquainted with the rather alarming character of Eleanor Abernathy - more affectionately known as 'The Crazy Cat Lady'. Most commonly seen screaming indecipherable nonsense and throwing her beloved pets at passersby, it's fair to say that she's a shining example of stereotyping. Elderly spinster with no friends or hobbies, but a startling number of cats... She must be wrong in the head, right? This is an assumption that is just as poignant in reality as in the world of yellow cartoon-people. Increasing Number of Cats ≠ Decreasing Mental stability? 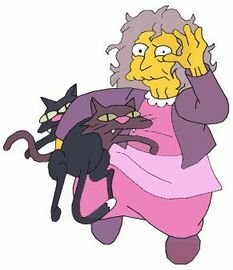 When someone sees a woman over the age of forty in possession of more than four cats, they instantly assign them to the 'Crazy Cat Lady' stereotype. Unless, of course, that person happens to be a crazy cat lady herself (or even a crazy cat man - they're out there!). They assume that she's lonely, that all those cats fill the void in her life that was never filled by children, or by a loving husband. Some go so far as to deem her mentally unstable. After all, if she were in her right mind, she wouldn't take on so much responsibility unnecessarily and with such seeming abandon for reason. But is this really the truth of it? Does owning more than four cats and loving them intensely mark you out as a deranged, socially inept weirdo? 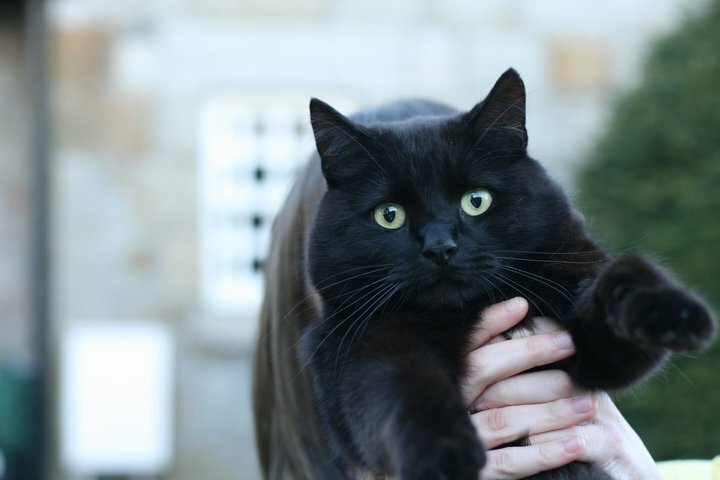 As someone who was (until recently) the proud owner of six, yes six, fabulous felines, I can assure you that, while I'm sure that there are indeed women that fit the above description, they are certainly not the majority, or even commonplace for that matter. Yes, I harp on about my cats to anyone who'll listen, I keep photographs of them around the house, I even allowed them to sleep on my bed with me. All of that only proves that I'm a little bit sad and a lot in love with my pets - it doesn't make me a threat to society. Besides my love affair with cats, I also have a wonderful boyfriend, great friends and plenty of time (and will) to have children. On top of this, I know several other women who own large numbers of cats, all of whom appear to be completely mentally sound. Perhaps the 'Crazy Cat Lady' stereotype doesn't have quite as much of a firm standing in reality as one might think. However, it does make you wonder were the idea originated from... before she became the frightening figure she is today, Eleanor Abernathy was an intelligent and strong-willed young woman who graduated from both Harvard Medical School and Yale Law School at age twenty-four. It was only after years of over-working that she slowly became less concerned about functioning within society and more interested in her pet cat and consuming as much alcohol as she possibly could. By age forty, she had become a mere shadow of her former self and was living a seemingly miserable life. Personally, I find this more than a little bit depressing. What kind of a world do we live in, where a young woman so full of promise can fall to despair so hopelessly, and then be mocked for it? Instead of ridiculing these unfortunate women, perhaps we should try to reach out to them, give them the company they so evidently crave. Whether it's by sharing a cup of tea with them, offering them a friendly ear, or even helping them to groom their army of cats, it would hardly be too much of a hardship if it were to improve someone's quality of life. So next time you see the local 'Crazy Cat Woman' shuffling menacingly down the street, why not try asking to stroke one of her cats? After all, what's the worst that could happen?